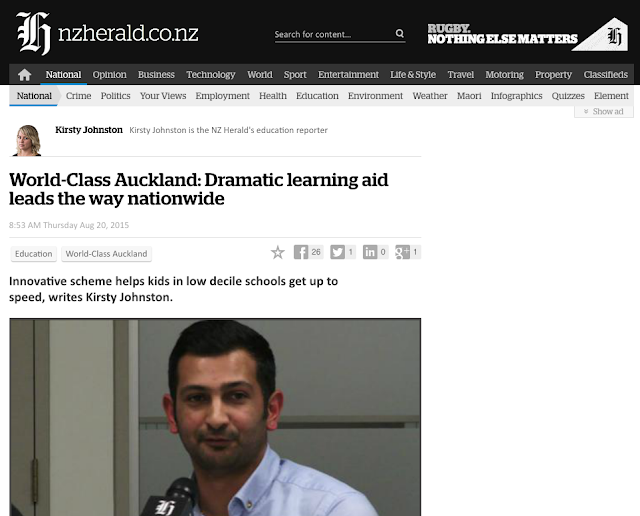 As part of a series on World-Class Auckland, Manaiakalani Education Trust Chair, Pat Snedden, speaks to the NZ Herald about Manaiakalani. 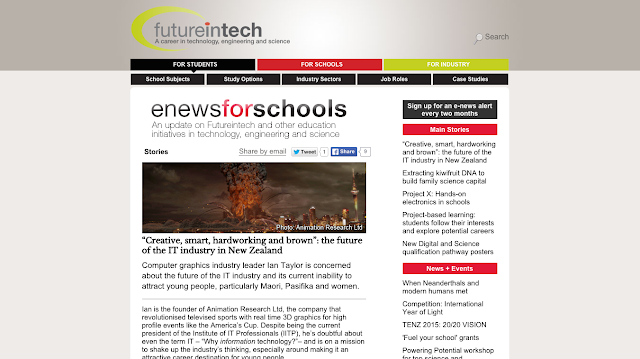 Manaiakalani has been mentioned in an article on Futureintech.co.nz. "One initiative that’s addressing this problem is the Maniakalani (‘the hook from heaven’) project, which operates in 12 schools in Tamaki’s low socio-economic communities. It provides the predominantly Maori and Pasifika students with access to digital technology at school and at home via a subsidised rent-to-own scheme for netbooks, and supports more digital approaches to teaching and learning. He described how Pt England Primary School has even formed a partnership with an overseas software development company that involves students doing user testing and writing reports as part of their classroom activities."